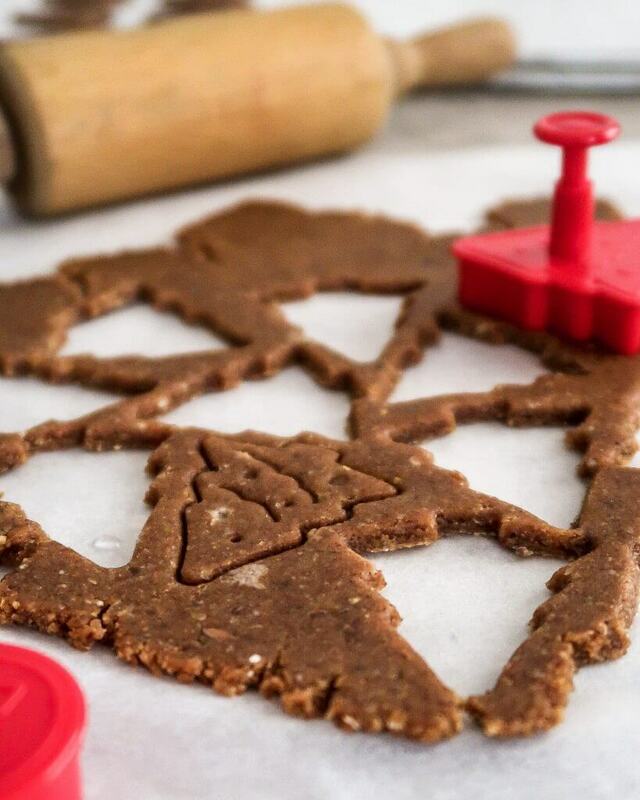 What is Christmas without some delicious speculoos cookies?? 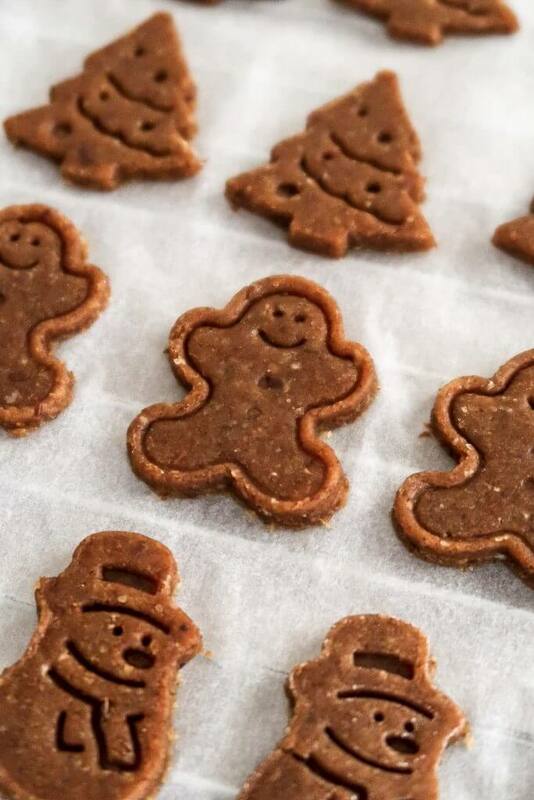 These vegan speculoos cookies are great to enjoy with a cup of hot chocolate or coffee on a cold winter day. 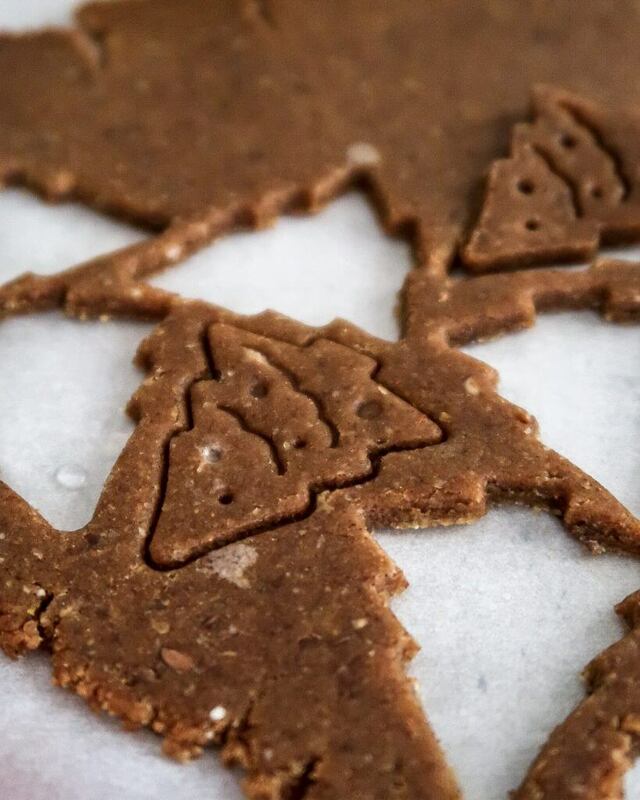 During Christmas time, we usually indulge more (or at least I am), so that's why I made these vegan speculoos cookies oil-free and refined-sugar-free to balance things out. Ever since they started selling speculoos cookies in the supermarket back in September, I had to force myself not to buy the entire supply of speculoos cookie packages. I love speculoos cookies! 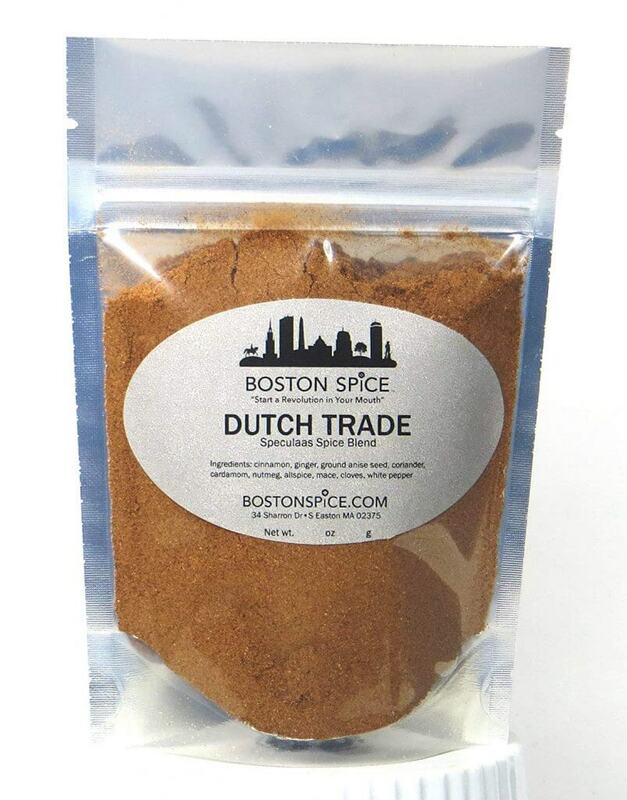 If you've never heard about them before: Speculoos (or Spekulatius) are spiced shortcrust biscuits. They are traditionally baked for St Nicholas' day in the Netherlands and Belgium, and in Germany and Austria we eat them around Christmas and late autumn even. 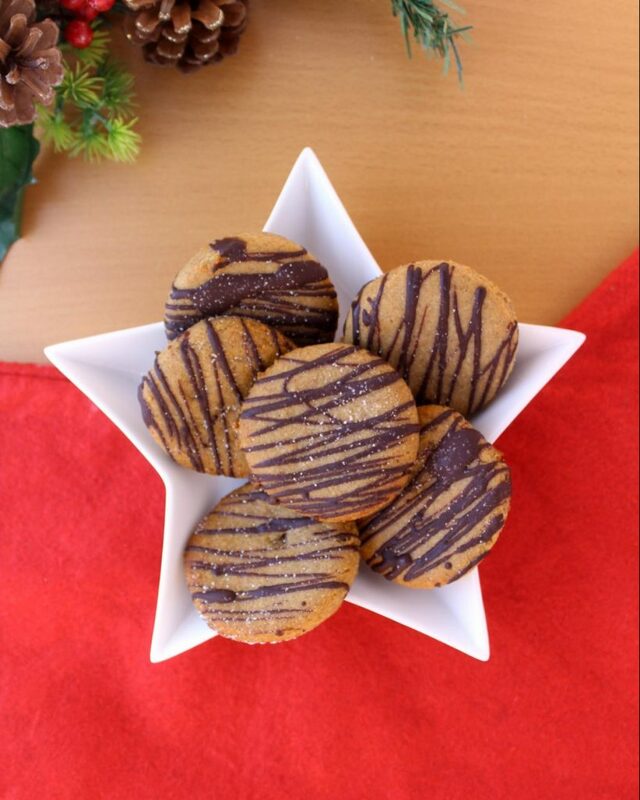 There are different types of speculoos cookies - spiced speculoos, almond speculoos and butter speculoos. 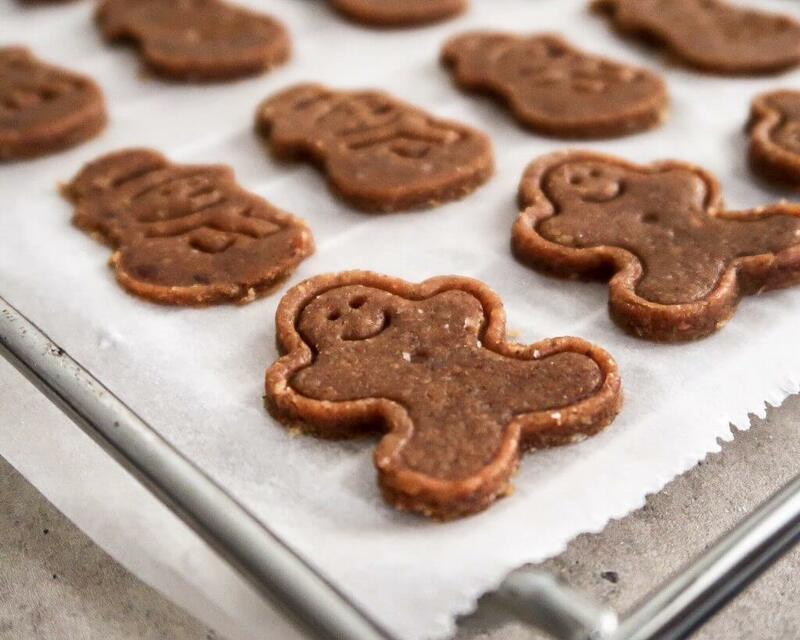 This recipe is a little bit of a blend between spiced and almond speculoos cookie since we are using almond butter but also a lot of spices! 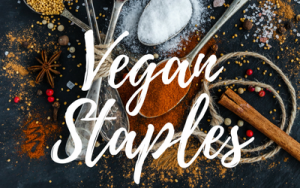 For sweetness, I used agave syrup. 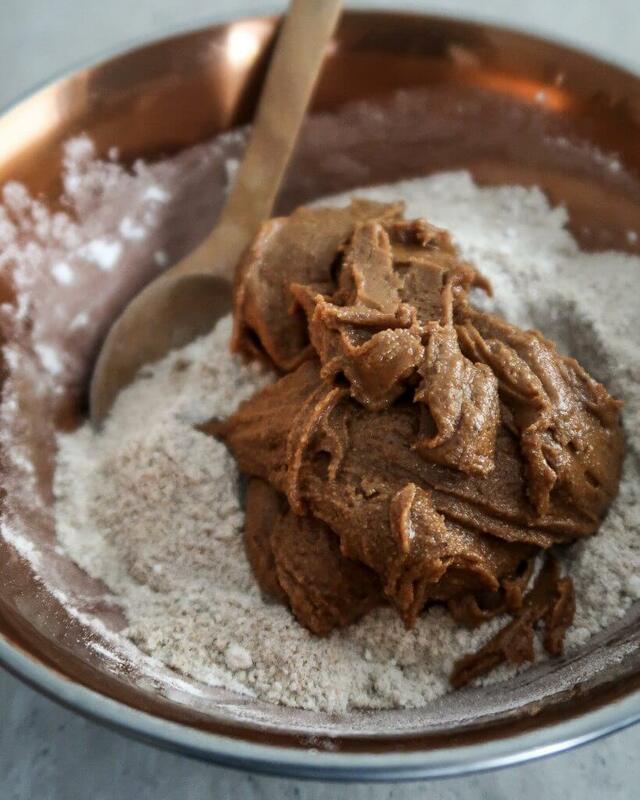 Almond butter and plant-based milk add a nice moisture to the dough. The dry ingredients are a blend of regular flour, ground almonds and ground oats. 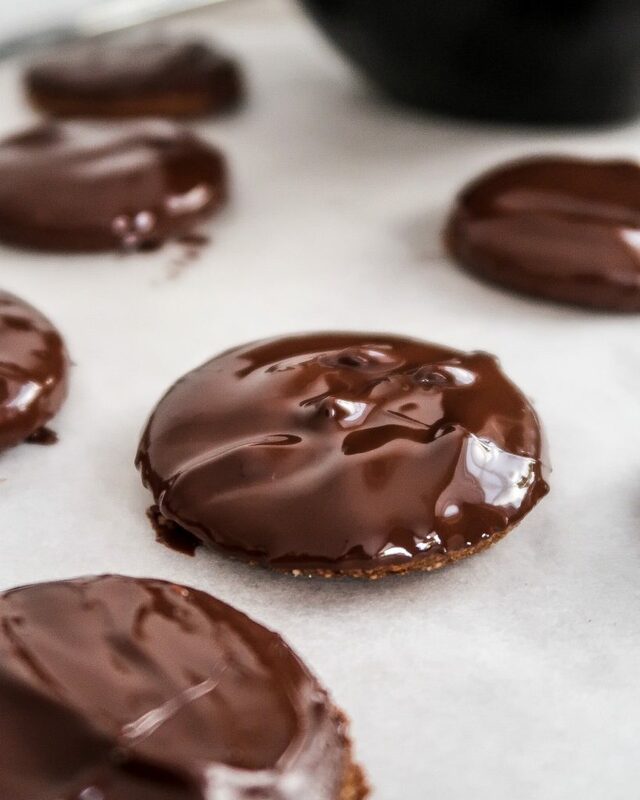 You could sub the flour with a gluten-free flour blend if you want to make these cookies gluten-free. Lastly, I also added some orange zest because orange just goes perfectly with almonds and speculoos spice! To make this dough, we simply mix all the dry ingredients, then add the wet ingredients that we have melted slightly before. You want to chill the dough in the fridge for half an hour before rolling it out so it is easier to work with. I like to roll out the cookie dough in between a sheet of parchment paper and cling film. This way, I don't have to use flour to prevent the rolling pin from sticking to the dough. I was a bit sceptical at first when I learned about this method but it works! Also, you don't have flour going everywhere which is a big plus. 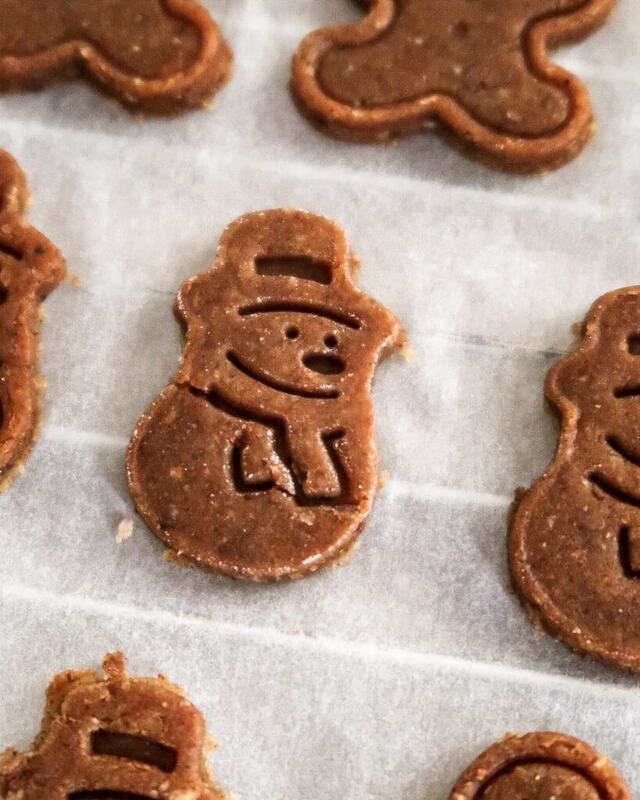 Speculoos cookies typically have some form of image or figure on the front. Traditionally, these images told the story of St Nicholas if you brought them in the correct order. However, you will also find other images such as windmills or farmhouses. 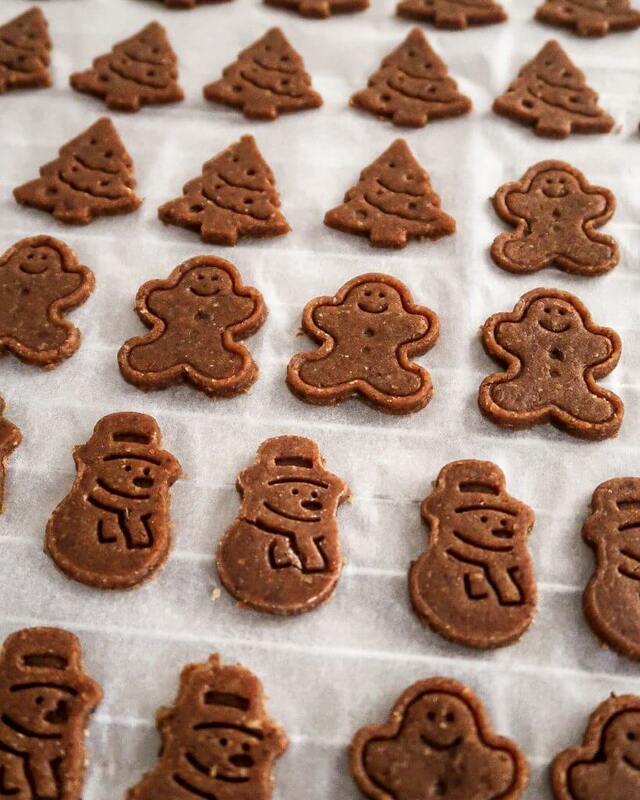 I found some cute Christmas cookie stamps when I walked through town the other day and I instantly knew I just had to use them to make speculoos cookies. Don't they look adorable? 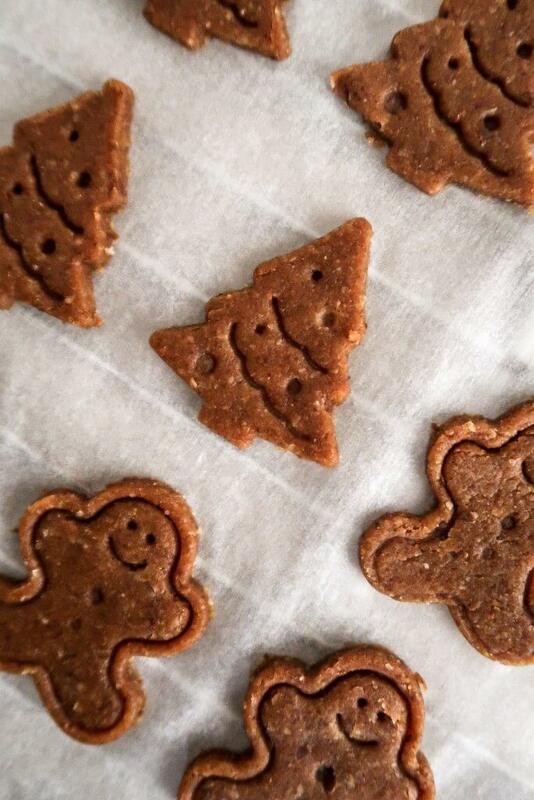 I think these cookies would make a perfect DIY Christmas present. In fact, I think I'll bake some more for my grandparents as a gift. 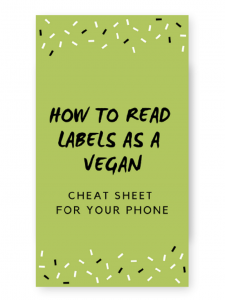 Start by making a flax egg. Combine the ground flax seed with cold water, stir and set aside. 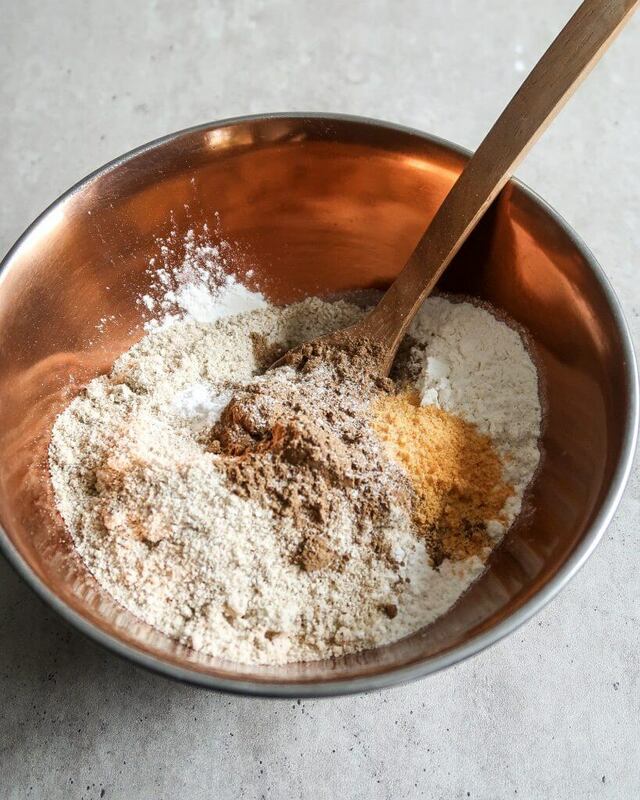 Add the dry ingredients (flour, oats, almonds, baking powder, speculoos spice mix, salt, orange zest) to a large mixing bowl and stir to combine. Melt the almond butter and agave syrup in the microwave or over medium heat. Then add to the dry ingredients. 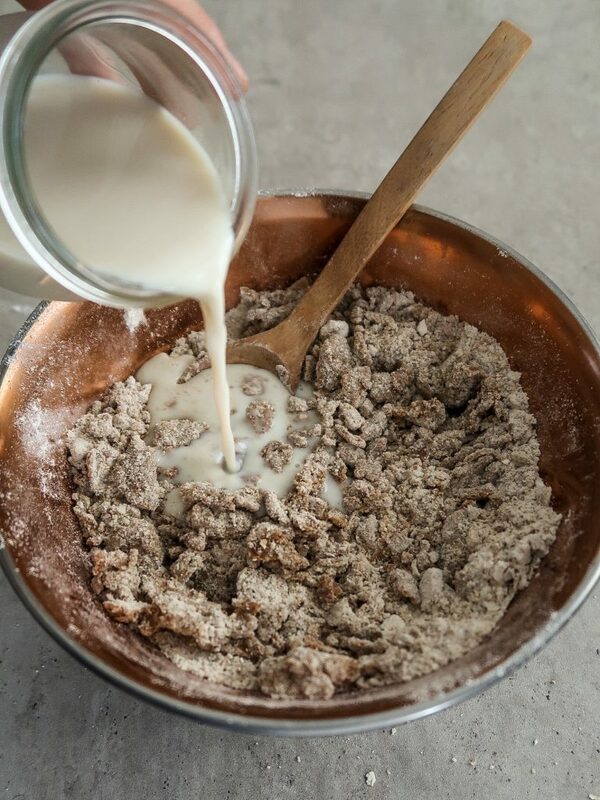 Add in the flax egg and plant-based milk and mix to form a dough. Using your hands might be easier here. Form a disc, wrap in cling film and place in the fridge for 30 minutes. Preheat your oven to 180°C/350°F. Roll out the dough between parchment paper and cling film to about 1 cm thick. 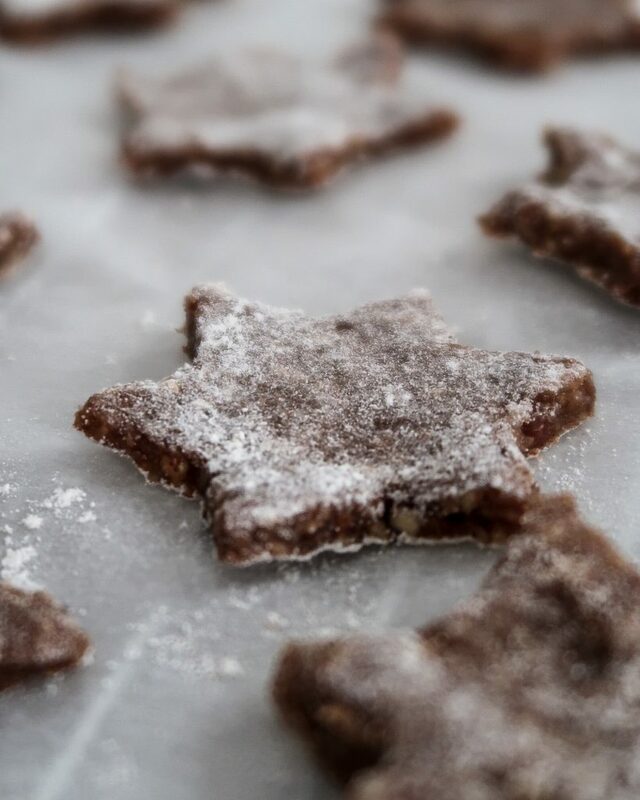 Cut out the cookies and place on a baking tray lined with parchment paper. 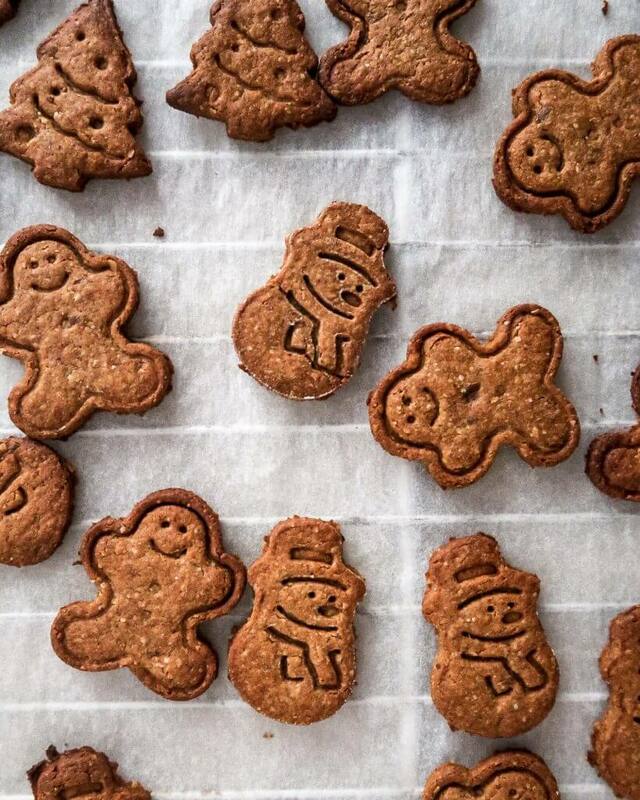 Bake the speculoos cookies for ~10 minutes. Carefully watch them as they burn easily. Remove from the oven and let cool before serving. Watch the cookies closely as they will burn easily. Rather take them out even if they look slightly undercooked – they will harden a little bit as you let them cook on the baking tray.